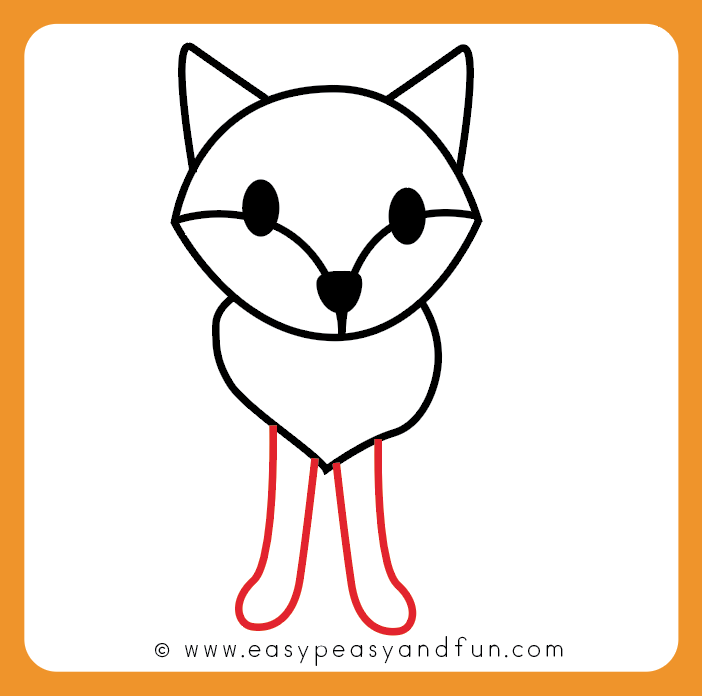 Simply follow this easy how to draw a fox step by step tutorial and you will have your fox drawing finsihed in no time. 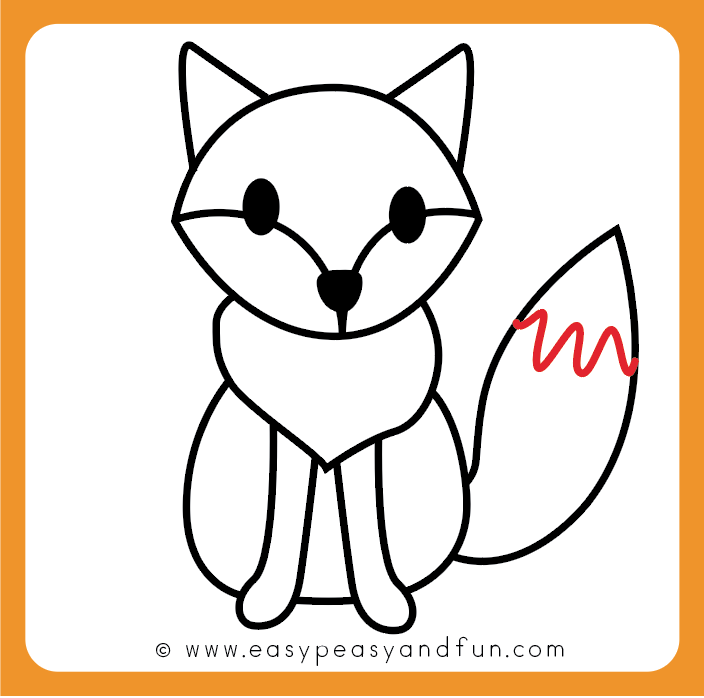 It’s super easy and kid and begginer friendly. 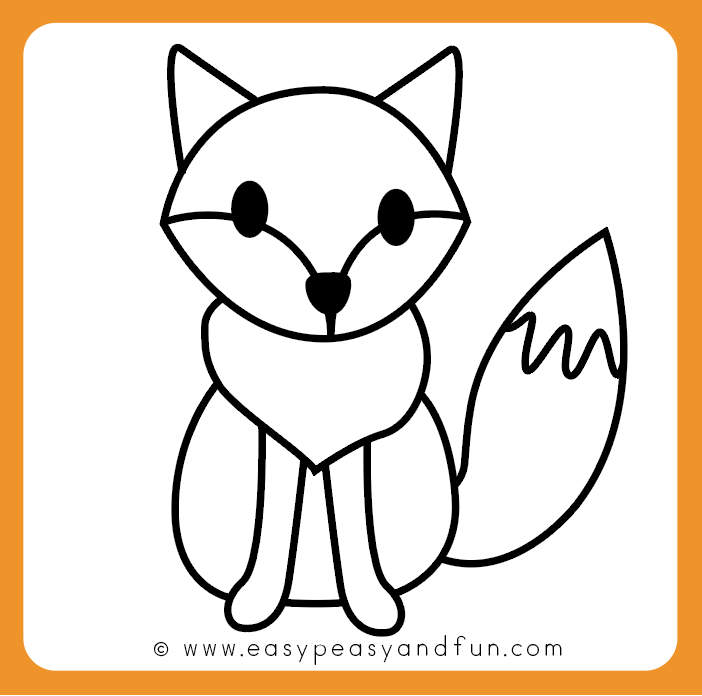 In this tutorial will learn how to draw a cute easy cartoon fox, that is easy enough for kids in kindergarten and cute enough for older ones (and you) to love too. Fall is the best time of the year to start learning all about forest animals, and drawing them, as well as other animals too. 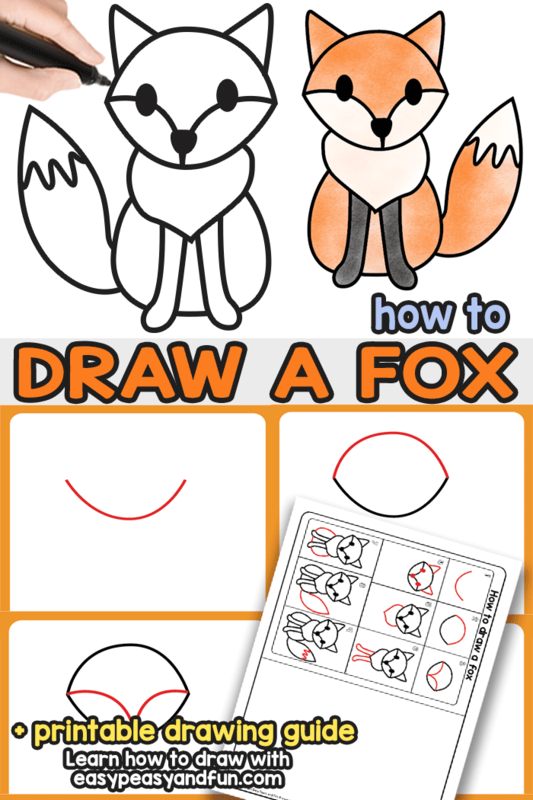 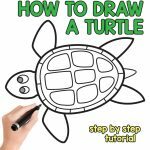 This fox drawing tutorial is one of the many step by step drawing tutorials that are super easy to master and will have you or your kids drawing good drawings in no time..
We aim to make our tutorials as simple as possible so they are great for young kids. 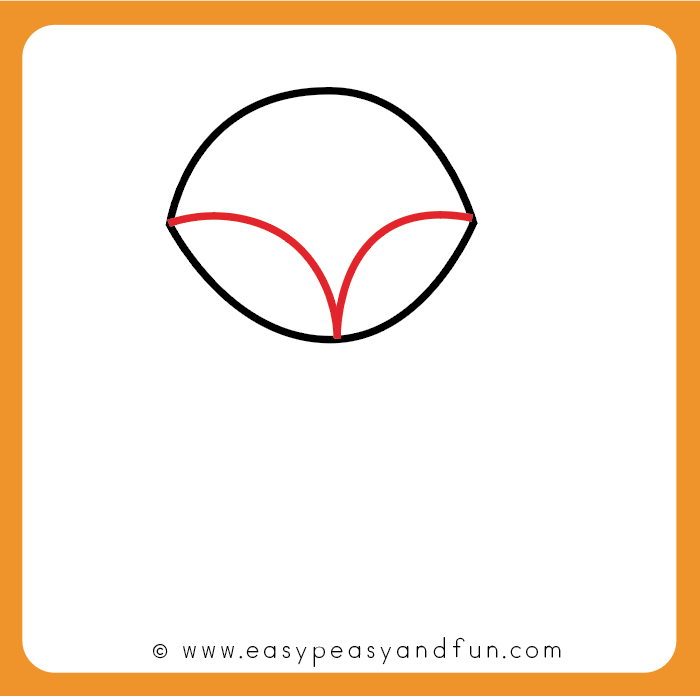 Start by drawing an “valley” with a slightly triangular feel to it. 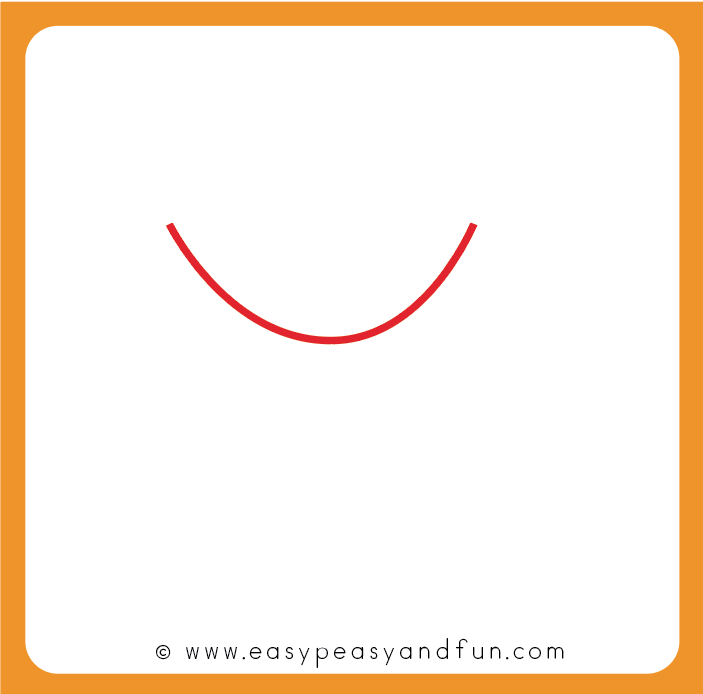 Draw an arch. 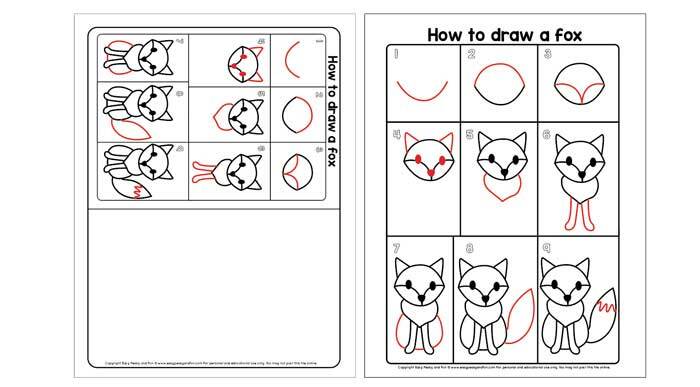 This completes the shape of the fox’s head. 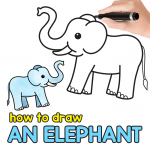 Draw to arches withing the head. 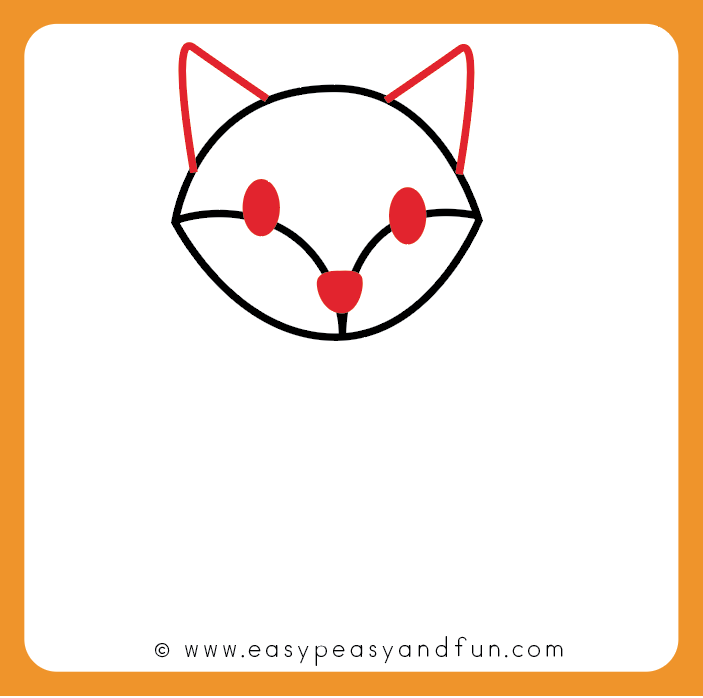 Draw ears and facial features – eyes and nose/snout. 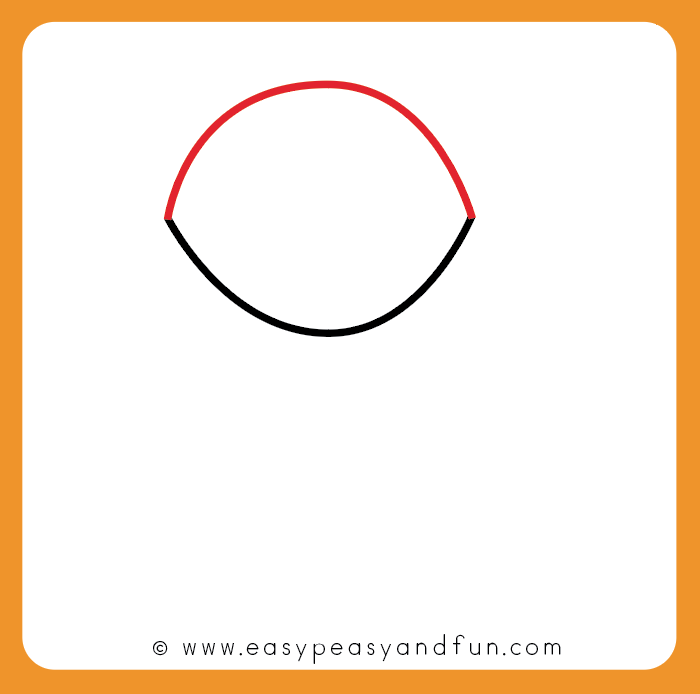 Keep the shapes simple. 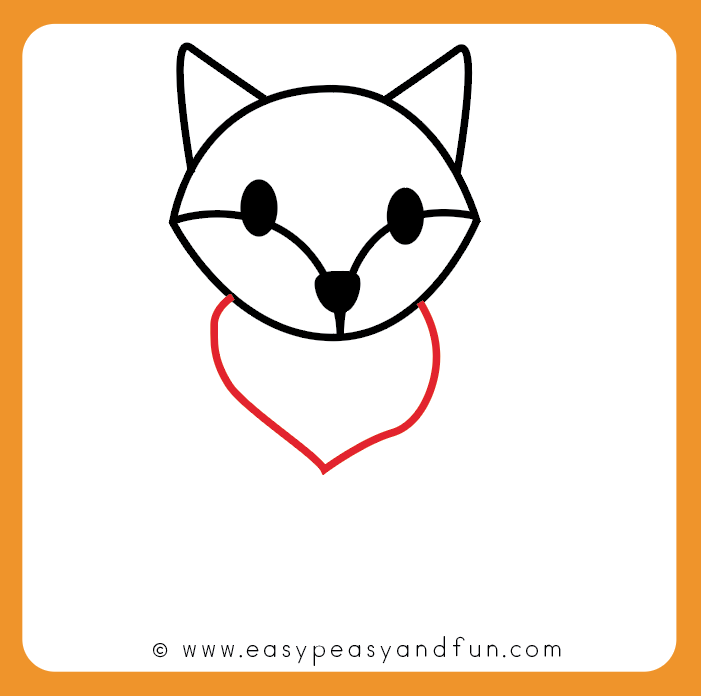 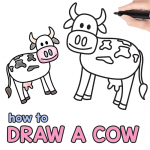 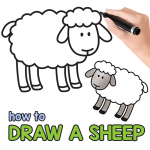 Draw the shape bellow the head – almost like you would draw a heart, just without the top. 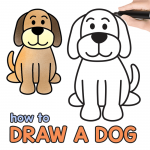 Continue with drawing the body. 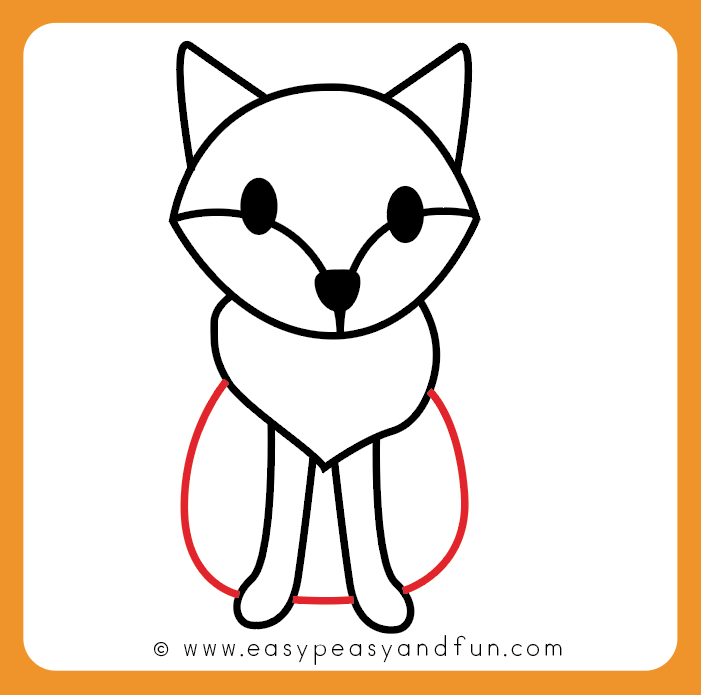 And the last touch, the details to the tail. 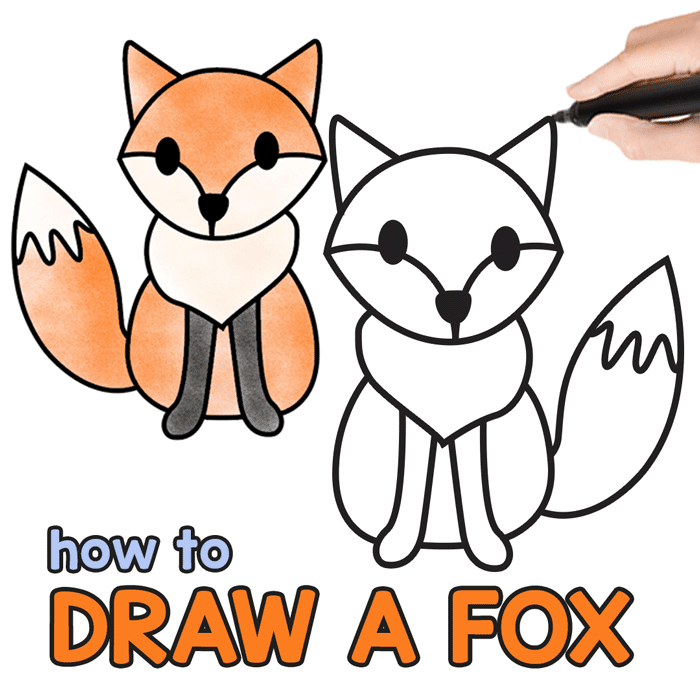 All done – you have just learned how to draw a fox. 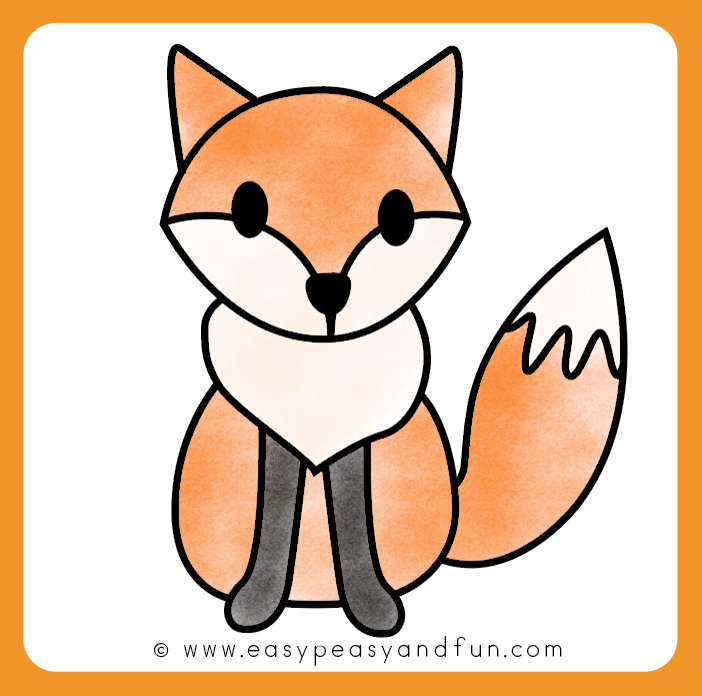 Optional but always fun: color in your fox drawing.